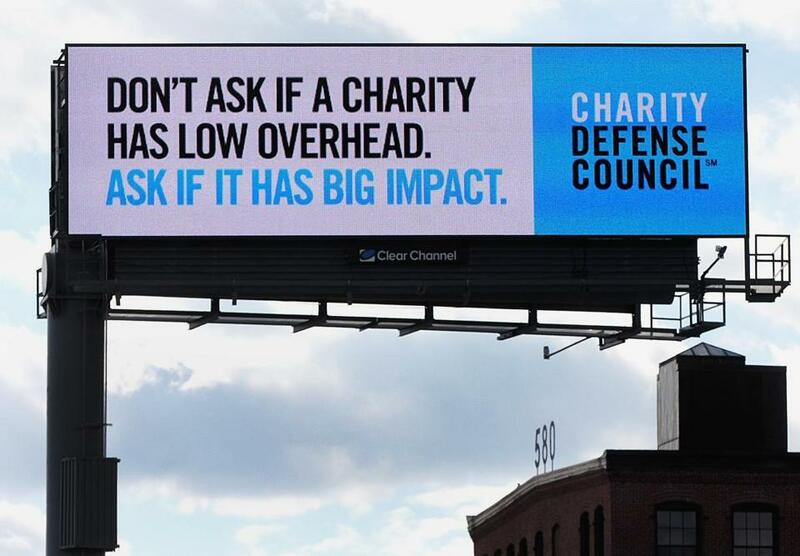 A Charity Defense Council billboard along the Southeast Expressway. To Dan Pallotta, that’s ludicrous. As the head of a rebellious Cambridge nonprofit called the Charity Defense Council, Pallotta has insisted for years that nonprofits should adopt a more corporate model of doing business. That includes spending more on themselves, an expense traditionally viewed by donors and watchdog groups as wasteful. “We’re trying to educate people on the notion that maybe the question they’ve been asking all along is the wrong question,” said Pallotta, who contends that nonprofits could do even more charitable work if they spent more on overhead. Pallotta points to the Wounded Warrior Project, a veterans nonprofit that dramatically increased revenue by investing heavily in fund-raising. Critics, however, accuse it of squandering donations on expensive marketing and high salaries; its fund-raising and administrative costs total more than 40 percent of its expenses, according to Charity Navigator, which evaluates nonprofits. Pallotta praises the Wounded Warrior Project for not being “a slave to that fund-raising ratio” and dismisses its detractors as short-sighted. 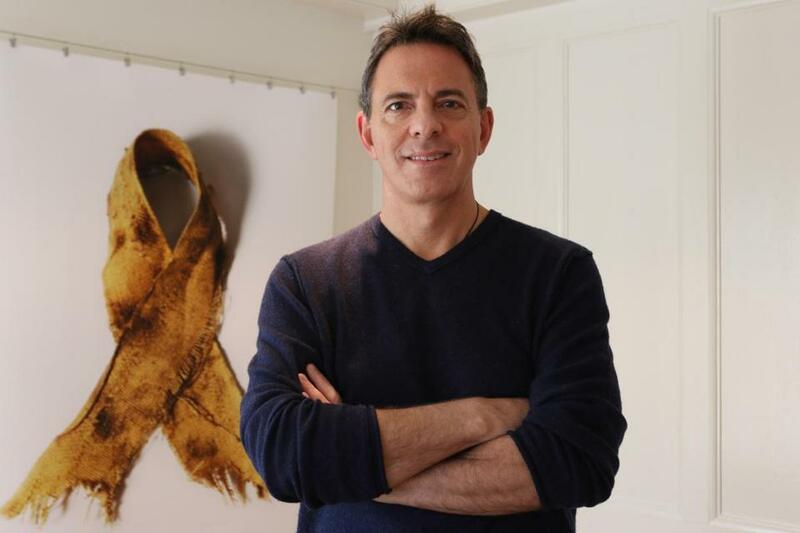 Dan Pallotta, head of the Charity Defense Council. But even some people who share Pallotta’s perspective are uncomfortable with him being a prominent spokesman for the cause. That’s because Pallotta, who lives in Topsfield, has a checkered professional past. He once ran one of the largest for-profit fund-raising firms in the world, Pallotta Teamworks, which created the AIDS Rides and Breast Cancer 3-Day walks. But the company folded in 2002 amid criticism of its high fees and Pallotta’s handsome compensation. Pallotta says his billboard campaign comes at no cost to the Charity Defense Council, which reported only $11,000 in revenue in its most recent financial filings. He says his for-profit Cambridge company, Advertising for Humanity, designed the billboards for free and Clear Channel donated the space, worth about $66,000 a month. There is no legal limit on how much nonprofits can spend on fund-raising and administrative costs, which typically include legal services, accounting, and office management. But charity watchdog groups have historically said nonprofits should spend no more than about one-third of their budgets on overhead, and ideally below one-quarter, and use the rest for charitable programs and services. As a result, many charities are sensitive about overhead and reluctant to spend beyond the norm. That’s left some of them with outdated computer systems and insufficient staff training, and some resort to accounting manipulations to lower or hide their true overhead costs — despite a Standard & Poor’s study showing that in the for-profit world overhead spending can run up to 50 percent, with the average in the mid-20s. Pallotta rails against the latter mindset and is an evangelist in his belief that if charities increase overhead spending, especially on executive compensation and fund-raising, they could bring in more money to do more charitable work. After all, he said, few for-profit ventures would thrive, let alone survive, without ongoing internal investments. Pallotta’s argument is steadily gaining allies. The prestigious Bridgespan Group, a nonprofit consulting spinoff of Bain & Co., published a 2009 article titled “The Nonprofit Starvation Cycle” that concluded charities persistently underfund overhead — to their detriment. Instead, they urge donors to “pay attention to other factors,” such as leadership, transparency, and results, even though those are notoriously difficult to measure. Additionally, the federal government recently issued new rules for how government agencies that contract with nonprofits should reimburse them for their costs. Jakious, of the Massachusetts Nonprofit Network, said that overhead costs should be just one of many factors when evaluating how efficiently charities operate. He also believes that nonprofits should spread the word that overhead is not synonymous with pork barrel spending.